Thanks to its nice round ceramic form and beautiful blue effect glazing,the Friesland Ammerland Blue coffee set lends an intergenerational country-house feeling. 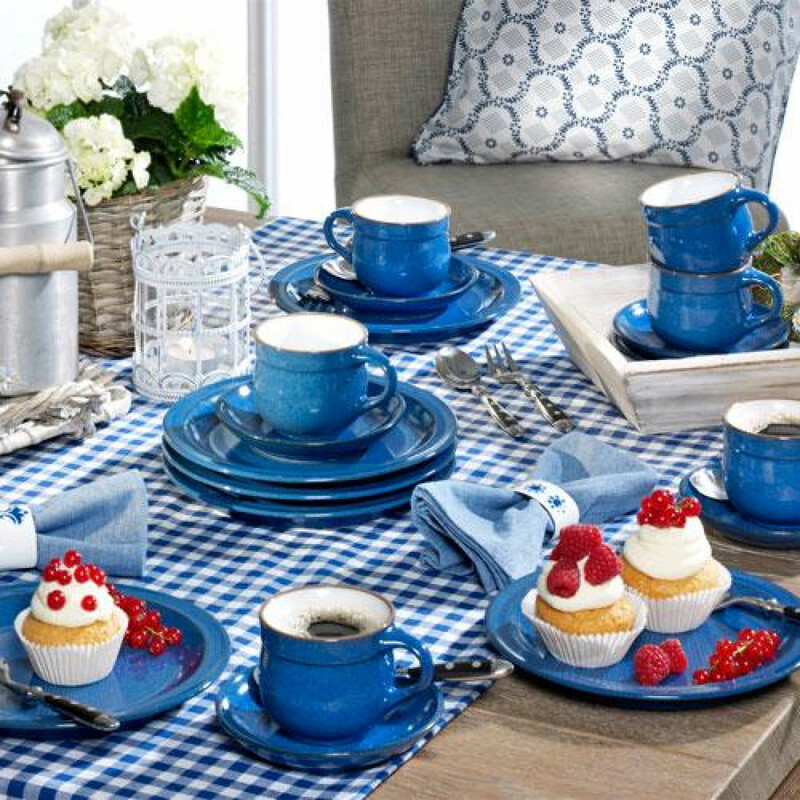 The extensive range of the Friesland Ammerland Blue collection,in which every item is unique,brings you a comfortable feeling in your kitchen. This collection boasts of being for more than 35 years on the market. Enjoy according to the rigid ecological aspects manually crafted traditional earthenware which comes in trendy glazing and in cream beige.